Mealtimes are great as you can use the dog’s meal as the reward, and not add to any extra meals your pup might be having. When I first learnt heel, I really learnt it from my own point of view, not Jaxon’s. For me, I was trying to get him to connect to a position, then click & treat it. All while keeping a loose lead. If you’re going to dog club & doing a heel on lead, the most valuable thing you can do is work with your pup at home to really build on the heel position, so that you’re not dragging your dog up and down the obedience class, then realising you need a loose lead. So how do we do that? With anything, we need to let the dog make the decision, then learn that decision is a good one & they will get a reward for it. I strongly recommend using a clicker for this position at first, and then working to your hand and finally voice signals. Have your pup on a loose lead in an area with some space around you. Have good treats/the pup’s dinner in your treat back & your clicker at the ready. You will need to move around a little bit for this, but when your pup gets the connection, they will soon repeat the behaviour. Just wait as your pup moves around you. When your pup walks into the heel position while they are exploring – ie: by either your left or right leg, facing forward as you are – click & treat. Of course make all the happy sounds you normally would by saying good dog! etc. A point which Susan Garrett teaches, which I think is really interesting & has worked for me – when you treat the dog, tap your leg with the treat first, then treat the dog exactly the distance you want their nose from your leg (about an inch or 2). Do this every time, as the dog begins to associate the treat with your leg. Again, let the dog wonder around you, and as they find the heel position, click & treat. You should now start to see the dog putting themselves in this position to get the treat! When this happens, you know they have made the connection. I think it’s important to build on the left & right sides if you want to do agility with your pup. If you just focus on the left this can become an issue for you later on. Build on this over a week, and keep notice of ensuring your dog sits or stands straight next to you. Soon enough, you will have the ability add the hand to the hip, and finally your voice command to the behaviour. One final thing on this – keep your lead at a loose position the whole time – as if it’s not even needed. Once your dog connects to the behaviour, it doesn’t matter if they are on a lead or not, but you will find the ability to have a lovely loose lead. Finish your training session with a game of tug, or ball – whichever you prefer. This helps to keep the high energy and happiness of your pup after spending a few intense minutes thinking hard! 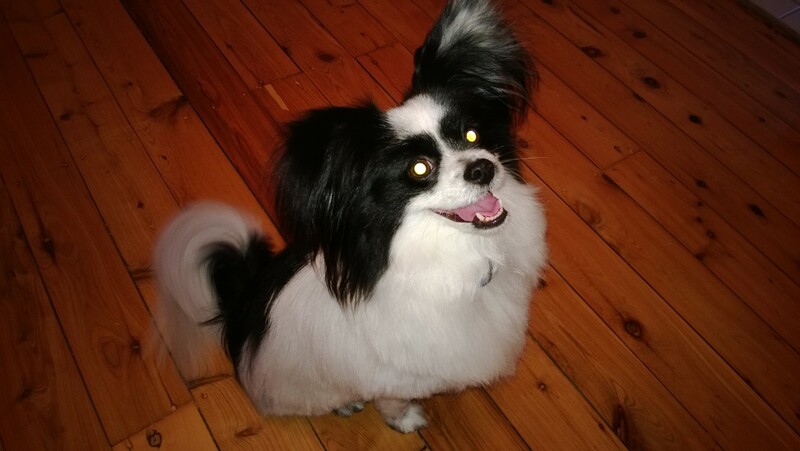 Posted on January 22, 2014, in Fun, News, Training and tagged Agility, agility dogs, agility papillon, dog training, dogs, heel, Obedience training, papillon, puppy training, pups. Bookmark the permalink. 2 Comments. An interesting thing I found with Mawson is that his heeling is always better off lead that with the lead… I think he just doesn’t like the fact he can’t have the option to go and do a crazy GSP run if he so desires!